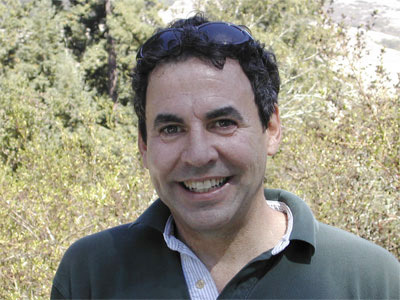 David Girard Henderson was born on April 4, 1955 in San Jose, California. This event was reported in the Monterey Peninsula Herald newspaper. He has two children, Katie and Kelly Henderson. His middle name came from his great uncle, Girard B. Henderson. April 4, 1955 Born in San Jose, California. David is the third child of Alexander D. Henderson III and Patricia Ford. July 5, 1957 The family moved from California to Florida. They first lived at the Avon by the Sea apartments in Pompano Beach, Florida. The apartments were across the street from the Hillsboro Country Day School, which the Henderson boys attended. Click here to see pictures of David and his brothers. 1958 David and his family moved into a newly built house at 3532 N.E. 31st Avenue, Pompano Beach, Florida. May 28, 1965 Completed middle school at the Hillsboro Country Day School. 1969 Parents divorced in Florida. Summer 1969 Dave's Mom moved the family to Carmel Valley, California. 1976-1985 Proprietor of the Deja-Vu Mining Company restaurant at 3517 Esplanade, Chico, California. Deja-Vu Mining Co. filed an Articles of Incorporation in the State of California. This corporate entity was filed on Wednesday, October 13, 1976 as recorded in documents filed with California Secretary of State. April 17, 1982 Dave married Marie Theresa Fanelli at the Woodside Village Chapel in Woodside, California. Marie is the daughter of Mr. and Mrs. Saverio Fanelli. The reception was at 91 Inglewood Lane, Atherton, California. Dave's grandmother (Nonny) and his great uncle, Jerry, came to the wedding. August 25, 1982 Katie Patricia Henderson was born in Chico, California. March 31, 1984 Kelly Marie Henderson was born in Chico, California. 1989 Received a Bachelor of Arts in Radio/Television/Film at California State University in Long Beach, California. 1992 Produced Eye's of the Beholder starring Matt McCoy, Joanna Pacula, Charles Napier, and George Lazenby. 1994 Produced Blindfold starring Shannon Doherty and Judd Nelson. 2000-2004 Dave moved back to northern California to be close to his two daughters. Since moving back to northern California, Dave has worked at eCompliance and Bank of America. 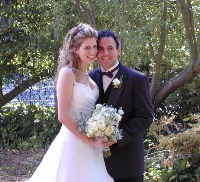 June 29, 2003 Dave and Lindsay Colleen Levin were married on June 29, 2003 at the Montclair Women's Cultural Arts Center in Oakland, California. They went to Hawaii for their honeymoon. Lindsay's parents are Irwin Levin and Sherrie Klein. Dave was a vendor supervisor at Escrow Closing Services, Inc. in Pleasanton, California. 2013 Dave now works at the Alain Pinel Realtors in Danville.